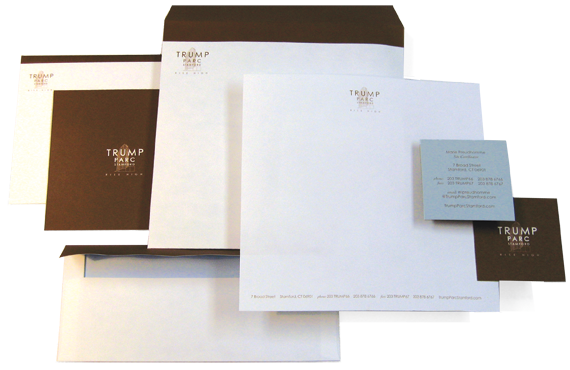 Talk about 360 marketing, that’s exactly what we’ve been doing for various brands under the Trump Organization. Logos, identity systems, websites, print advertising, brochures, billboards, online ads, radio spots, package design, ambient media, experiential marketing and brand detail imaginable. 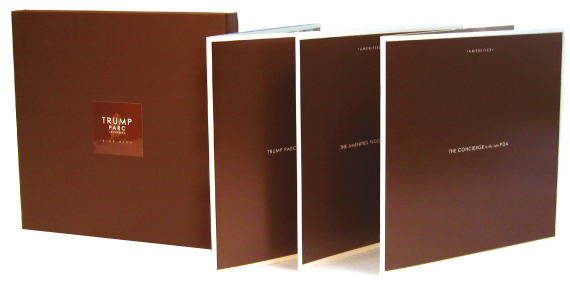 The linen-covered box holds the Trump Parc corporate brochure, amenities guide, neighborhood guide. floor plans and charity selection sheet. Marketing concepts don’t always fit in traditional formats like print advertising or press releases. This is experiential marketing. We named two drinks, The Trumptini and Trumpolitan, had a competition among bartenders to develop the recipe, and had various bars, restaurants and hot spots around town add them their menu. 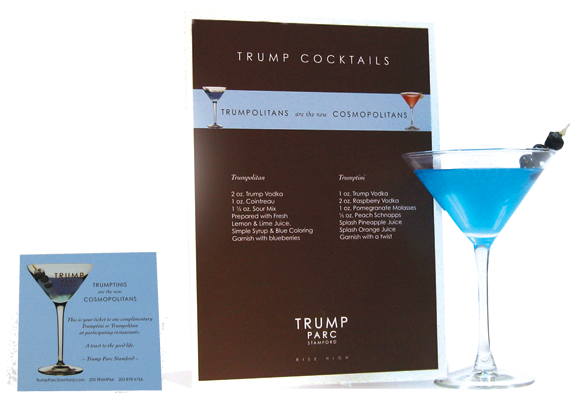 At special events, we distributed drink cards for a free Trumptini. We even provided the recipe when people requested it. In essence, the restaurants and bars became our ambassadors, and the promotion created quite the buzz!